Zayat told Rovell that “the offer put on the table Tuesday was too good to pass up.” Zayat will retain 100% of the horse’s racing rights, and the horse will not retire after the Belmont Stakes, even if he becomes the first Triple Crown winner since 1978. This comes as no surprise whenever an individual owns a horse of this magnitude. Stud farms start chomping at the bit when they start to see a young colt get this sort of national attention. Originally I said WinStar Farm had to be the favorite of the Kentucky-based stud farms, since they stand Pioneerof the Nile, who is Pharoah’s sire, at their state-of-the-art facility near Versailles, Ky. Speaking of Pioneerof the Nile, check out this hilarious piece about his rising stock as a stallion from TMZ Sports. 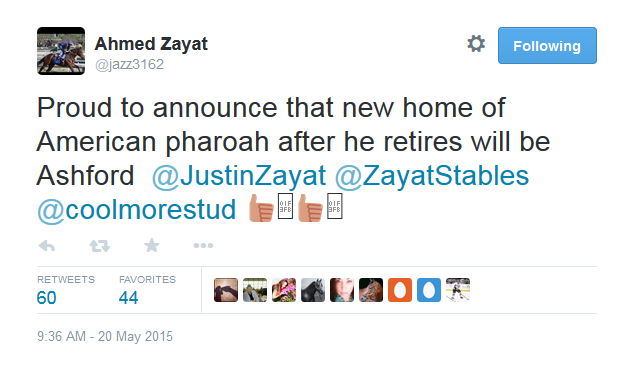 Pioneerof the Nile also raced for Zayat, and the owner still maintains an interest in the stallion. Money has never seemed to be an issue when it comes to attracting stallions to WinStar. The other local farms that came to mind on my short list were both held by international interests: Jonabell Farm, also known as Darley America, owned by UAE President HH Sheikh Mohammed bin Rashid Al Maktoum; and Ashford Stud, also known as Coolmore America, owned by John Magnier, a native of Ireland. 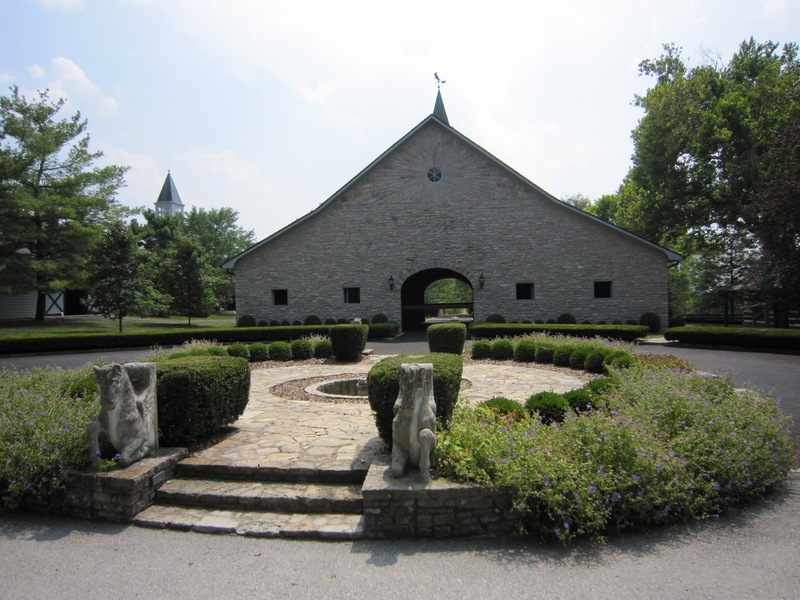 Coolmore’s Ashford Stud in Versailles, Ky.
Ashford obviously ended up being the winner. Rovell pointed out in his article that “The breeding rights to the last Triple Crown winner, Affirmed, sold for $14.4 million in 1979, which would be about $46 million today when factoring for inflation.” Pretty crazy. For further reading, check out “How 11 Triple Crown Winners Spent Their Retirement Years,” from Mental Floss.